Looking for a fun, active family outing this holiday season? Head to the rink! After a morning on the ice with our friends at Fruit of the Loom, we gathered tips from Wicksie Tu, an instructor at Winter Village in NYC’s Bryant Park, to make it entertaining for everyone, even ice-skating newbies. 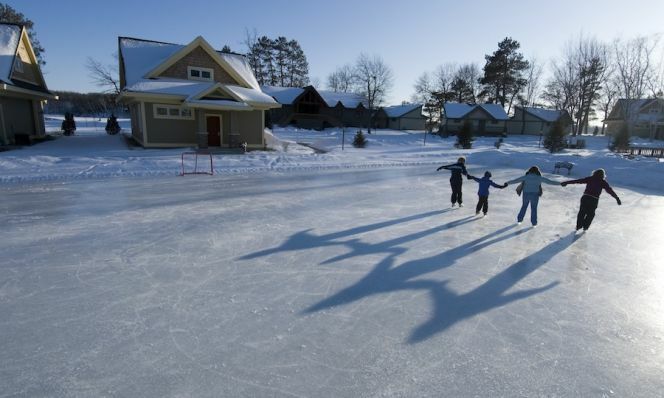 Before you get out on the ice, layer up in tight clothes—baggy garments will catch wind and drag you down. Also, tie skates tight enough so the ankle stays steady and can’t sway from side to side as you move. Once you’re ready to hit the rink, Tu has a few drills for beginners: First, march in place to get comfortable on blades, then begin to move forward while you march. When you feel confident, push off the ground like you would on a scooter. For those more at ease on the ice, move your feet in a diamond shape to go forward a few times, then backward. Next, try driving off your forefoot to glide on both skates for a few seconds. Or if you&apos;re feeling daring, lift a leg and slide on one foot. Ready to increase your speed? Do as the pros do and cross one foot in front of the other as you continue to push off the ice. To come to a halt, do the snowplow stop (which is best for beginners and similar to the pizza-wedge stop used in skiing): Bend your knees and move your toes toward each other while pushing your feet outward. You’ll form a V or pigeon-toed shape and shave some ice. Now that you're a pro when it comes to technique, follow these dos and don’ts when it comes to form and you'll stay upright with ease. DON'T look down. When you gaze down at the ice, your body tends to lean forward, which throws you off balance. Keep your eyes focused in front of you and your hips centered. DO bend your knees. If you feel yourself tipping, bend your knees a few degrees (they should always be slightly bent, but emphasize it more) and place your hands on them. This will help stabilize you. DON'T lean back. Tumbling backward can be dangerous, because you risk hitting your head. Counteract that tilt by bending your knees, putting your arms out to the side and keeping your shoulders and hips aligned. DO get loose. People tend to think stiffness will make them steady in the rink, but it actually ups your chances of wiping out. Roll your shoulders down and back and just relax. DON'T use the toe picks. Those little spikes on the front of your skates work well for performing jumps and tricks, but they can get in a newcomer's way. 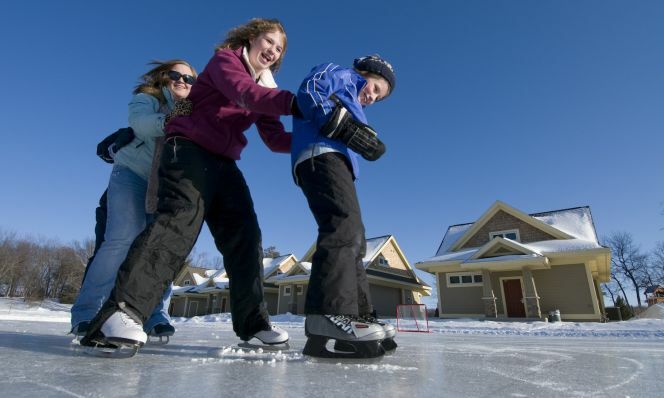 Avoid dragging your feet and your skates won't get stuck, causing you to trip.